Looking for a clean, well-cared for 2005 Volkswagen New Beetle Coupe? This is it. Only the CARFAX Buyback Guarantee can offer you the comfort of knowing you made the right purchase. Everyone hates the gas pump. Skip a few gas stations with this super fuel efficient VolkswagenNew Beetle Coupe. It's not a misprint. And the odometer isn't broken. This is a very low mileage Volkswagen New Beetle Coupe. A rare find these days. The Volkswagen New Beetle Coupe GL will provide you with everything you have always wanted in a car -- Quality, Reliability, and Character. 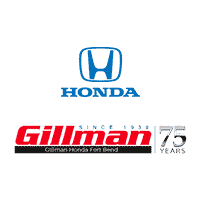 Thank you for visiting another one of Gillman Of Ft Bend Inc's online listings! Please continue for more information on this 2004 Volvo S60 with 216,200mi. When you purchase a vehicle with the CARFAX Buyback Guarantee, you're getting what you paid for. You could spend more on fuel each month than on your vehicle payments, so why not consider one with exceptional fuel economy like this 2004 Volvo S60. You've found the one you've been looking for. Your dream car. The quintessential Volvo -- This Volvo S60 speaks volumes about its owner, about uncompromising individuality, a passion for driving and standards far above the ordinary. You can find this 1999 Ford Crown Victoria LX and many others like it at Gillman Of Ft Bend Inc. This 1999 Ford Crown Victoria comes with a CARFAX Buyback Guarantee, which means you can buy with certainty. A Ford with as few miles as this one is a rare find. This Crown Victoria LX was gently driven and it shows. The look is unmistakably Ford, the smooth contours and cutting-edge technology of this Ford Crown Victoria LX will definitely turn heads. The quintessential Ford -- This Ford Crown Victoria LX speaks volumes about its owner, about uncompromising individuality, a passion for driving and standards far above the ordinary. Gillman Of Ft Bend Inc is honored to present a wonderful example of pure vehicle design... this 2008 Mazda CX-9 GS only has 172,152mi on it and could potentially be the vehicle of your dreams! Do so much more with one vehicle. This Mazda CX-9 gives you everything you need an automobile to be. Just what you've been looking for. With quality in mind, this vehicle is the perfect addition to take home. This is about the time when you're saying it is too good to be true, and let us be the one's to tell you, it is absolutely true. The Mazda CX-9 GS will provide you with everything you have always wanted in a car -- Quality, Reliability, and Character. Gillman Of Ft Bend Inc has a wide selection of exceptional pre-owned vehicles to choose from, including this 2005 Ford Escape. On almost any road condition, this Ford Escape XLS offers solid performance, reliability, and comfort. Stylish and fuel efficient. It's the perfect vehicle for keeping your fuel costs down and your driving enjoying up. It's not a misprint. And the odometer isn't broken. This is a very low mileage Ford Escape. A rare find these days. You've found the one you've been looking for. Your dream car.